Thank you for visiting us • Poznań Marmite S.A. Thank you for visiting us recently at the Kitchen & Bathroom Industry Show in Orlando. We hope you enjoyed your visit to the Marmite S.P. stand. 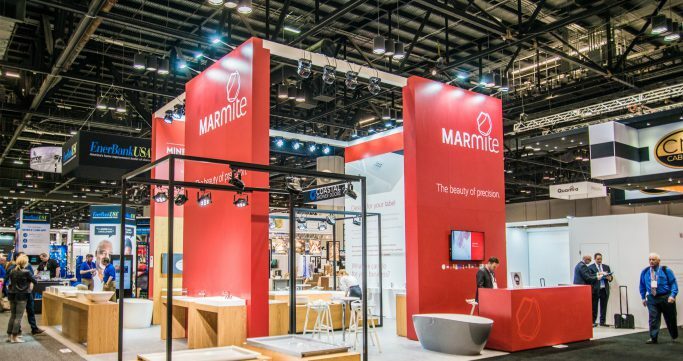 Marmite was delighted to exhibit for the first time in the USA. The show was a great opportunity to showcase our design award winning Mineral Composite bathtubs, basins and shower trays. Graphic design of our booth was made by Meliński Minuth Sp. z o.o and production by Smart Design Expo sp. z o.o.